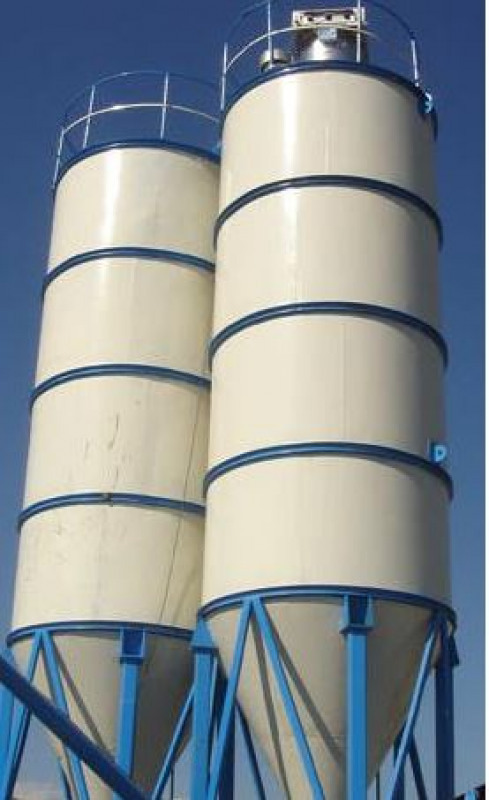 Cement silos up to 150 tons capacity can be manufactured both as bolted and welded type. 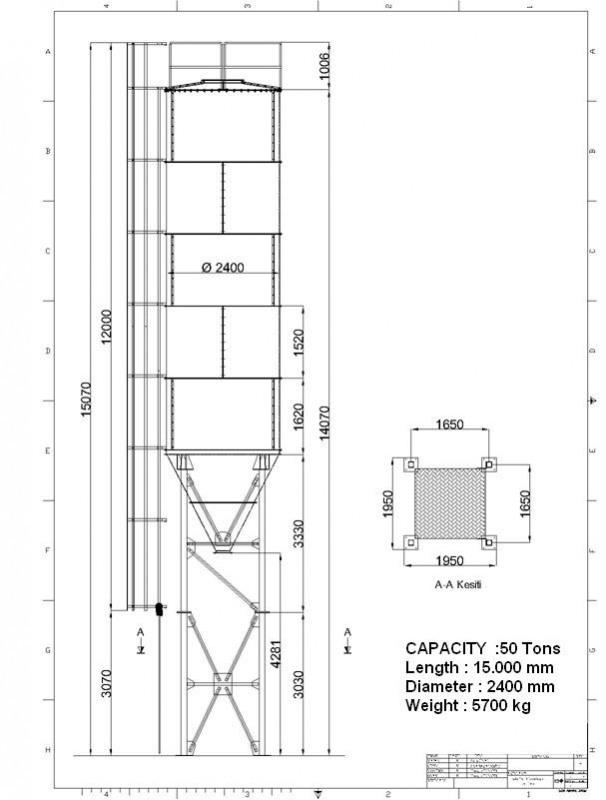 Silos that has stock capacity higher than 150 tons are available as bolted. 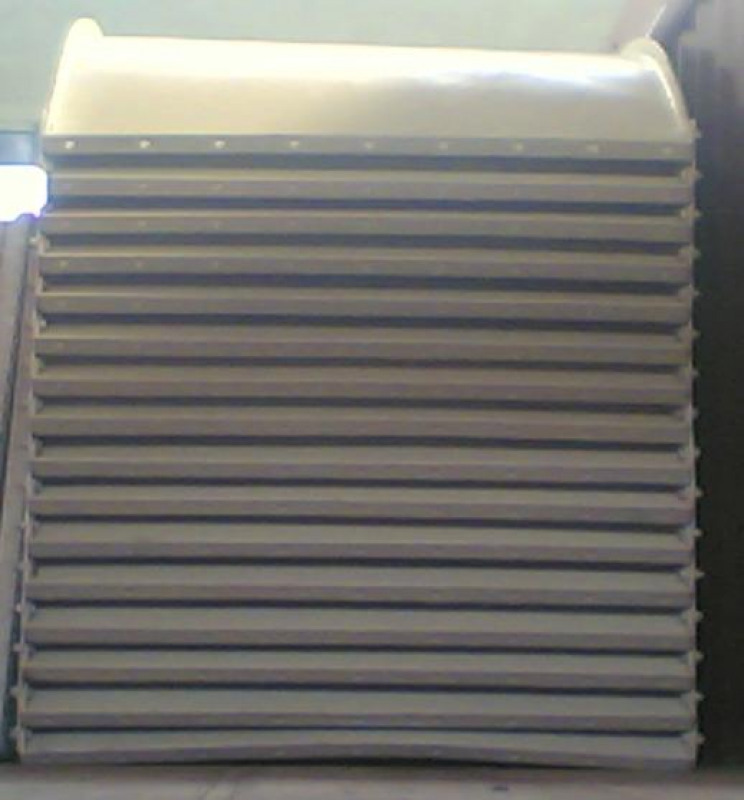 Parts of bolted type cement silos are manufactured by sensitive laser cutting and drilling methods. 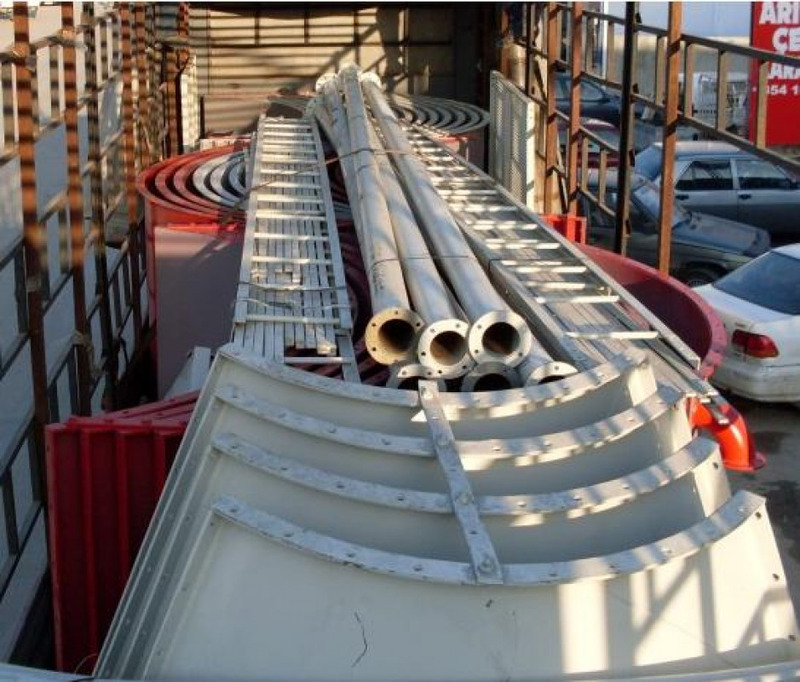 In jobsite, parts of cement silos can be assembled easily and sensitively. 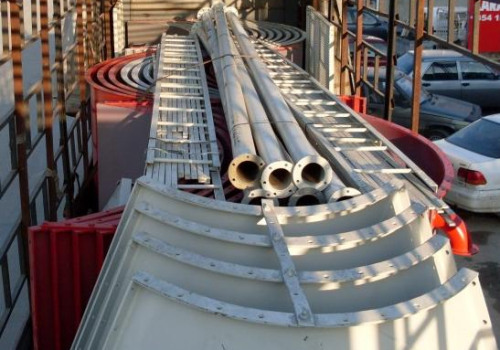 Our cement silos includes all necessary accessories such electronic filter, filling pipe, butterfly valve, level indicator, safety valve, airjet pulse, manhole etc. We add hundreds of new listings every week. Be sure not to miss any CS - 50 (Bolted) by subscribing to our email updates.